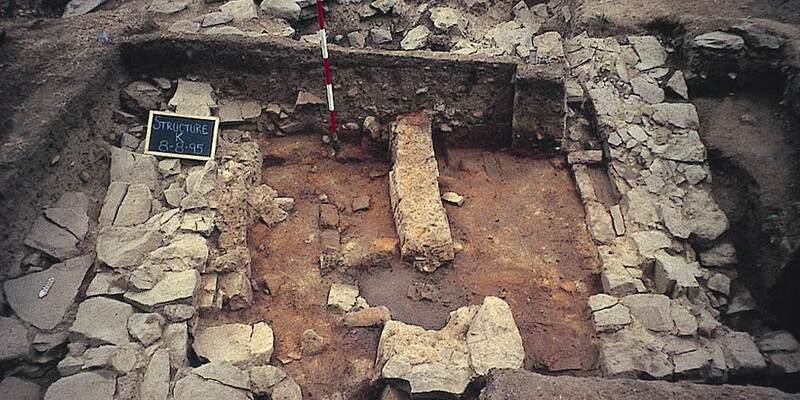 The Archaeological Museum of Sienese Chianti was established in 2006, a century after the excavation at the Montecalvario site, the etruscan monumental burial mound erected by the aristocracy that dominated the area of Castellina at the end of the 7th century B.C. 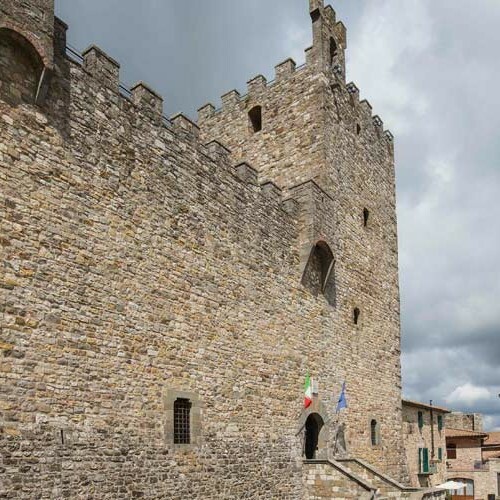 The museum, set up in the exhibition spaces of Castellina’s medieval fortress, displays a collection of archaeological finds illustrating the history of the Chianti area. The Archaeological Museum of Sienese Chianti illustrates the history of Etruscan culture in the Chianti area expanding over a period of about ten centuries before our era, from the formation of the Etruscan nation to its complete assimilation into the Roman world. The Museum visit includes the fortress itself which was a stronghold of the Florentine Republic during its century-long war against Siena. The tower offers a beautiful view of the town of Castellina with the Chianti mounts in the distance. 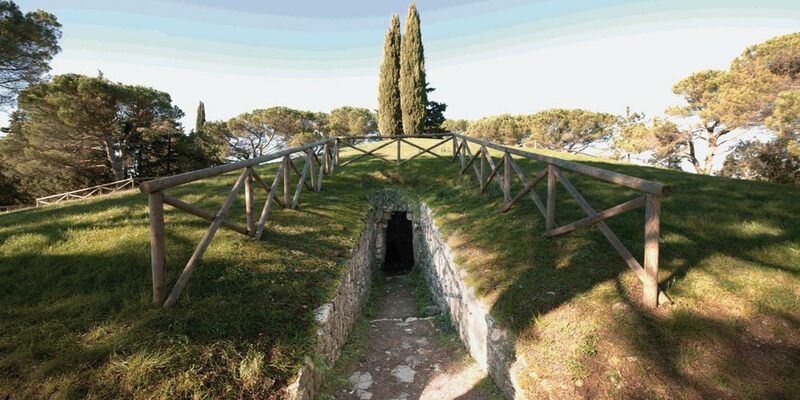 Not far from Castellina in Chianti is the great Etruscan burial mound (50m wide) that was excavated in the early 20th century. It was built at the end of 7h century B.C. and contained the tombs of an aristocratic family of extraordinary wealth. 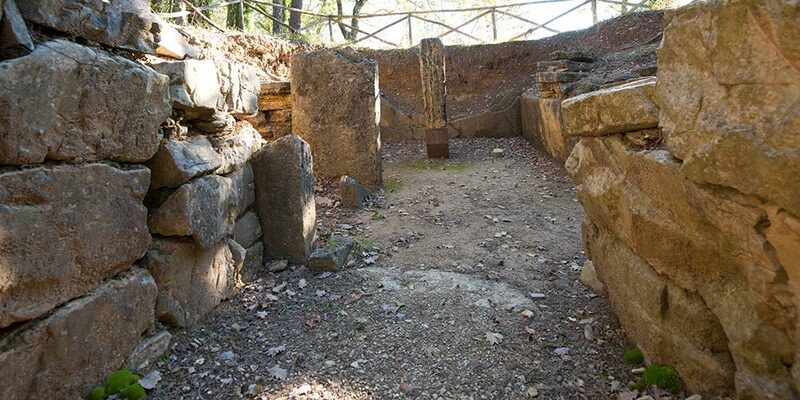 On the hill east of the medieval village of Fonterutoli are the remains of an Etruscan necropolis that was used from late 7th to late 6th century B.C. 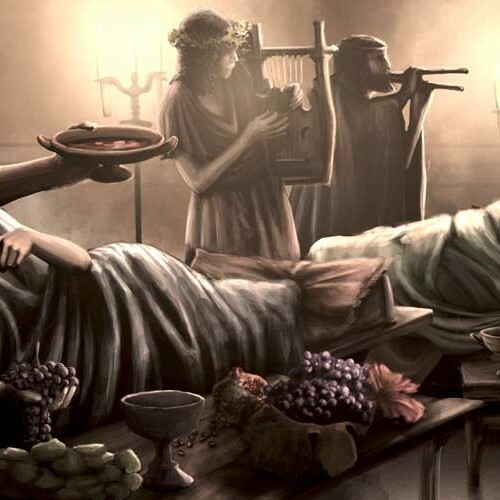 Grave goods were Etrusco-Corinthian oil vessels, bucchero symposium pottery and two noteworthy Athenian Black Figure.